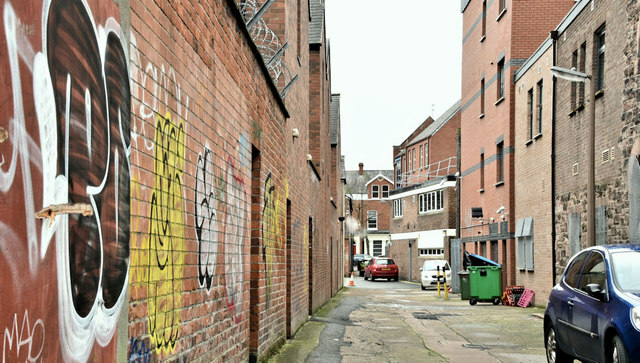 See J3372 : College Green Mews, Belfast (February 2008). The view towards Botanic Avenue. Fitzroy Presbyterian church is on the right.